With nature centers, restaurants and even art installations, West Michigan's trails are becoming diverse pathways with unique destinations around every corner. Aesthetic beauty is often inherent in nature, providing adventurers and wanderers with an obvious reason to get outdoors. This is especially true in Michigan, where each of the four seasons provide diverse landscapes and wildlife. To add to the natural aesthetics and provide a cultural experience for the region's trail-goers, local businesses and artists have rallied around the trails. With nature centers, restaurants and even art installations, West Michigan's trails are becoming diverse pathways with unique destinations around every corner. In White Hall, the Arts Council of White Lake (ACWL) has taken advantage of the scenery to commission artists from across the state to create sculptures intended for viewing along the William Field Memorial Hart Montague Trail. 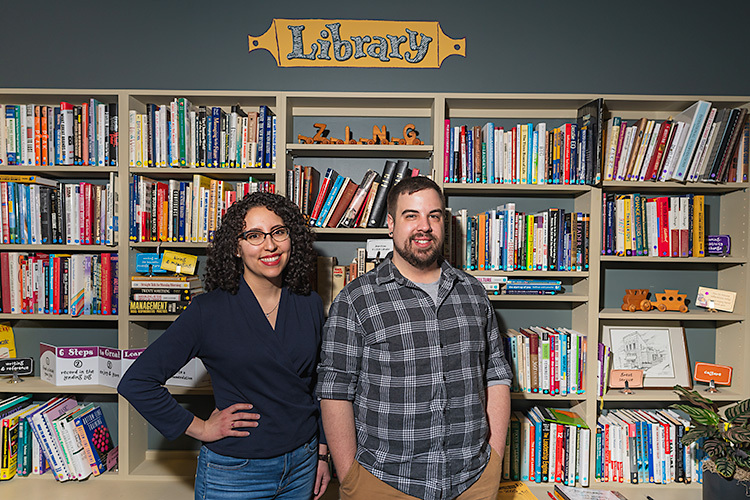 An organization that "serves to encourage, initiate, and facilitate an enriched artistic, cultural and creative environment throughout the White Lake community," according to their website, the ACWL is a nonprofit that has been dedicated to the arts in their city for the past 30 years. Beginning in October of 2005, the ACWL began installing sculptures along the Hart-Montague and Montague-Berry Junction trails, and have added to the collection each year to form the ACWL Art Walk. Funding the Art Walk through a variety of sources including donations and grants, the ACWL continuously adds to the collection. 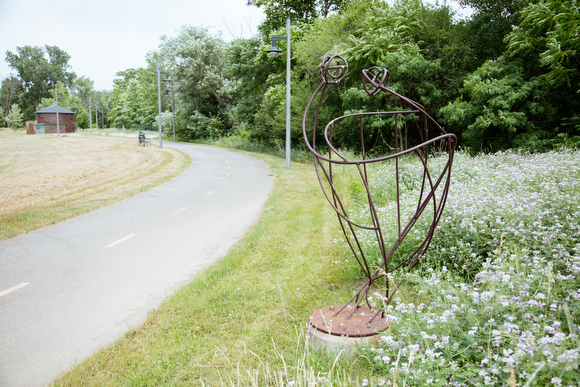 "Our ArtWalk project accents the beauty of our natural lake environment by placing public sculptures along the Hart/Montague bike trail,” Executive Director of the ACWL Jennifer Diamond-Wright says. ”So hike, walk, bike, or run to these unique pieces of outdoor art!" With 12 on-trail sculptures and one off-trail sculpture, the Art Walk showcases the artists' work over several miles of trails. In Kalamazoo, the trail's destinations take a different form, luring visitors to a variety of sites, sounds and tastes. Instead of artistic sites, the 22-mile Kalamazoo River Valley Trail guides cyclists, runners and families from downtown Kalamazoo to South Haven, showcasing the various business, nonprofits and environmental destinations that are well worth the trip. 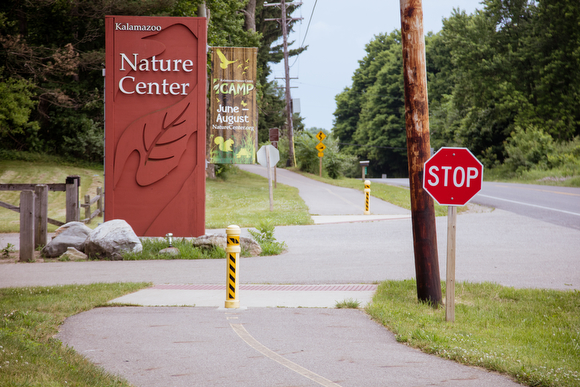 "[The trail] connects so much of the communities in Kalamazoo county," says David Rachowicz, director of the Kalamazoo County Parks & Expo Center. Kalamazoo Nature CenterThe northernmost trailhead of the Kalamazoo River Valley Trail lies a few miles outside of the city, at D Avenue. 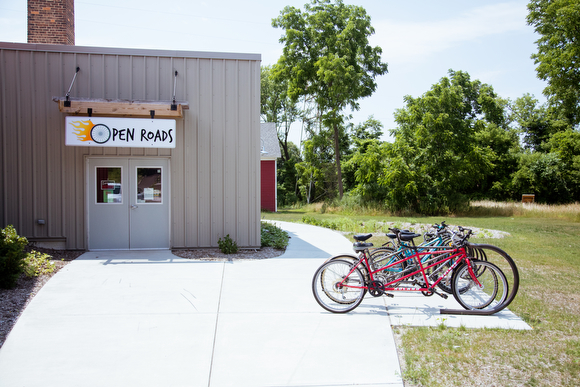 After a short ride, cyclists can visit the Kalamazoo Nature Center, a nonprofit devoted to educating children and adults about the environment, with a variety of programs, classes and special events. With more than 1,100 acres—of which the trail traverses five that are uninterrupted by motorized roads—the nature center is "a great place to bike for families, people who don't want to contend with traffic," says Rachowicz. 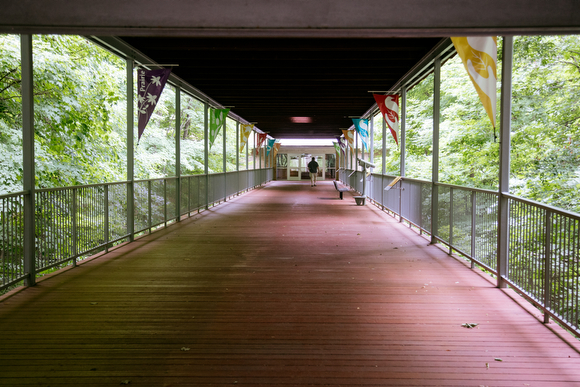 At the southern end of the nature center lies the Riverview Launch, a community space that opened in September 2015 that was geared toward the revitalization of blighted spaces in order to bring together community members. It now includes a historic barn, office and meeting spaces, and a greenhouse, in addition to two tenants: the Kalamazoo County Land Bank and the Open Roads bicycle program. Called the "gateway into the city" by Rachowicz, Riverview Launch is located alongside the Kalamazoo River and just before Verburg Park as trail-goers travel south toward downtown. Open Roads bicycle programThe two tenants are both nonprofits with highly unique missions. 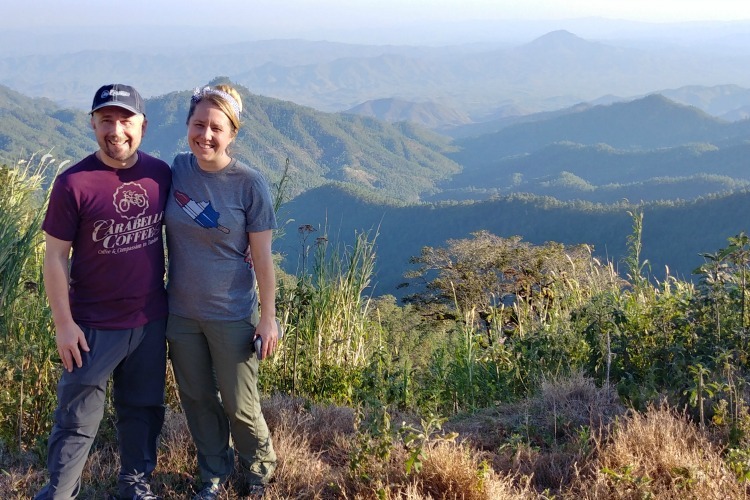 The Open Roads bicycle program was founded by Ethan Alexander over a decade ago and seeks to provide bicycles and bicycle education to the youth population. With programs like earn-a-bike, in which kids can participate in a six- to eight-week bicycle education program and, at the end, obtain their own free bicycle, Open Roads seeks to spread awareness of this sustainable mode of transportation. 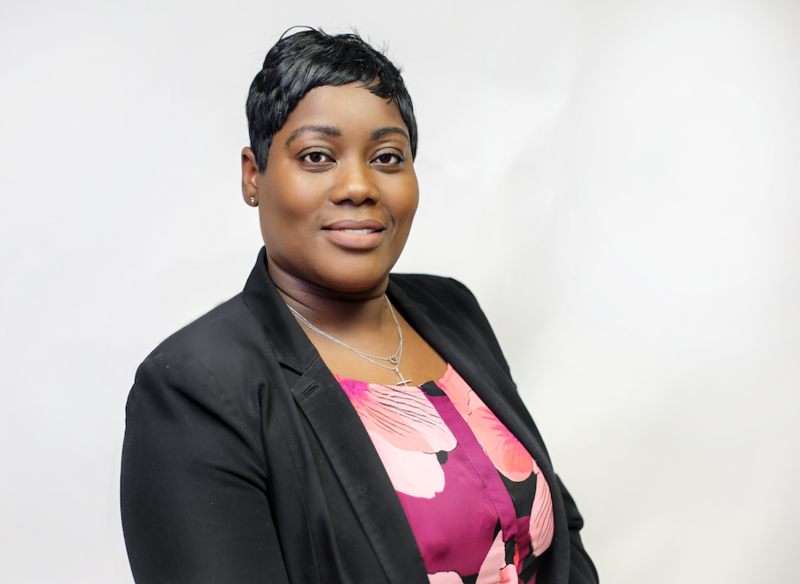 The Kalamazoo County Land Bank also seeks to better its community, but through obtaining vacant properties. 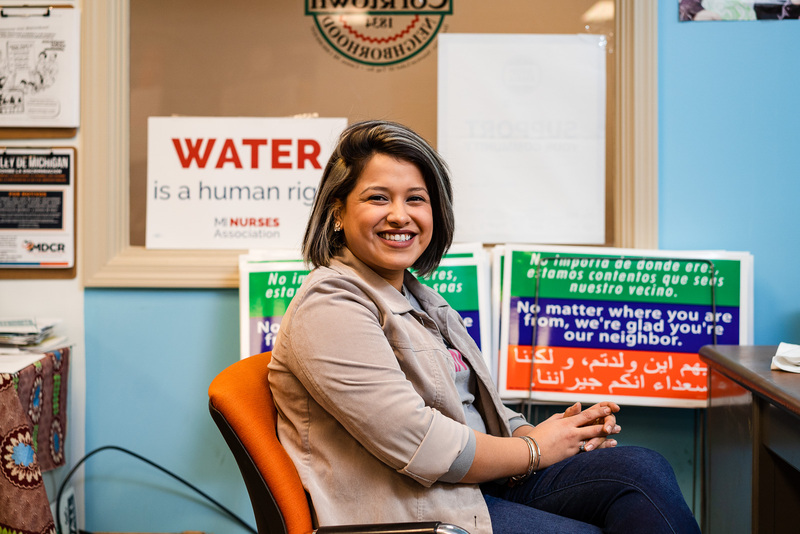 Its mission, according to its website, is to "create vibrant communities through the elimination of blighted properties, the creation of affordable housing opportunities, and the stabilization of property values." These thriving tenants, in addition to Riverview Launch's other sites and experiences, make it a must-see destination for trail-goers. People's Food Co-op of KalamazooContinuing south, runners and cyclists will approach downtown Kalamazoo, where they can visit Bell's Brewery's Eccentric Cafe and Arcadia Brewing Company, right off of the trail. 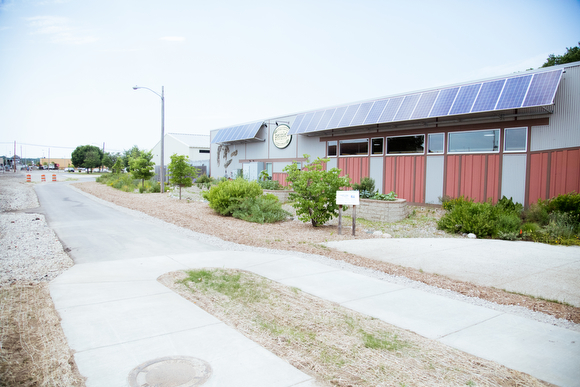 If visitors are up to the challenge, they can continue traversing the trail southeast, and check out Bell's Comstock brewing location. If travelers are sticking downtown, they can visit the People's Food Co-op of Kalamazoo, McKenzie's Cafe & Bakery, or the free, family-friendly Kalamazoo Valley Museum. Whether grabbing a bite or a brew, the Kalamazoo River Valley Trail is "a great resource for people," says Rachowicz. "It really connects people and places." All year round, but especially in the summer, West Michigan's trails provide diverse destinations for locals, visitors and families. Whether you're looking for a cultural experience, a community program, a beer tasting and tour, or a tasty pastry, the trails around Whitehall and Kalamazoo won't disappoint.